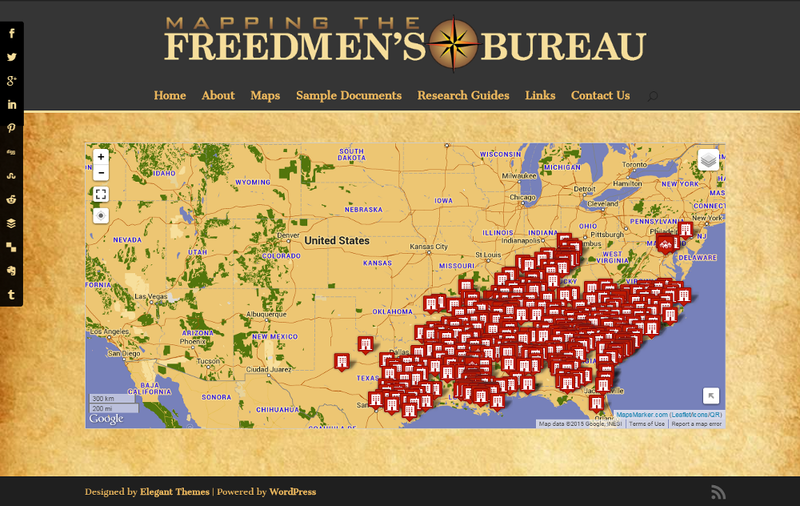 This map marks the sites of Freedmen’s Bureau Field Offices and Contraband Camps. You can scroll in to see the sites nearest your area of research interest. 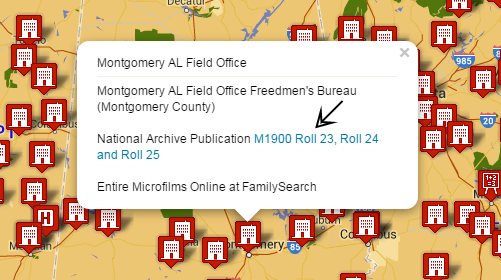 When you click on a marker, you will see the microfilm rolls for that location. If the microfilms are online, you can click the link to go directly to the microfilm to begin reading! 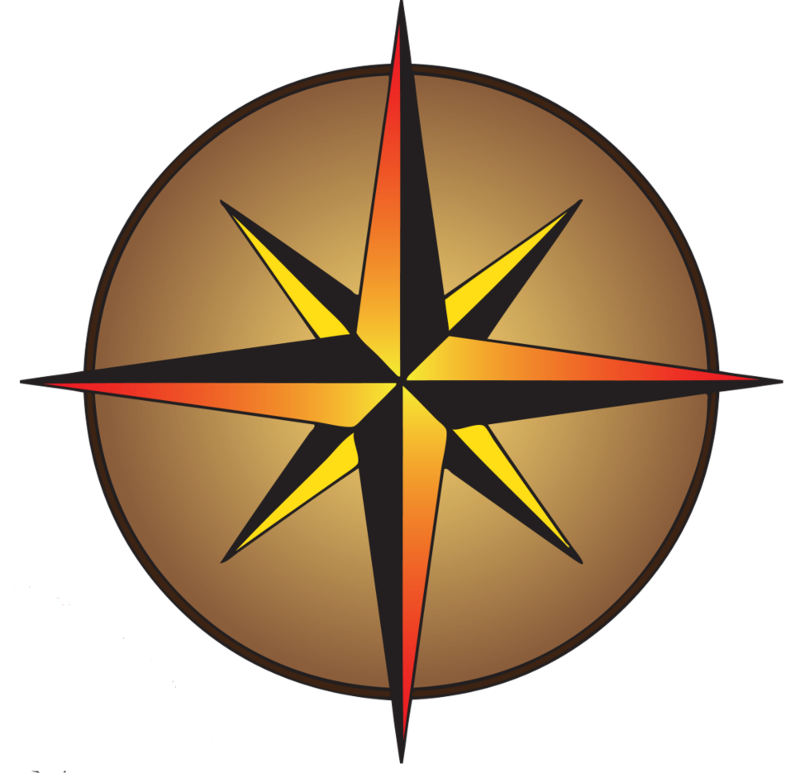 You can also scroll down this page for a detailed tutorial on using the maps on this site. In addition to Freedmen’s Bureau Field Offices and contraband camps, we have mapped Freedmen’s Bureau Hospitals, Freedman’s Savings Bank Branches and USCT Battle Sites. 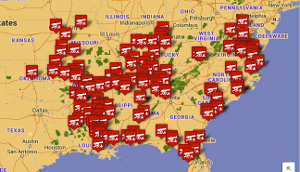 To access these maps, please click on the tab for the map you wish to view, then click the “View Map” button. Please note: the images below are screen shots to illustrate how to use the maps. They are not live maps. You can click on the maps at the top of this page to get started! We hope the maps will help you access online records more easily, and encourage you to explore these very rich record sets. Happy reading! 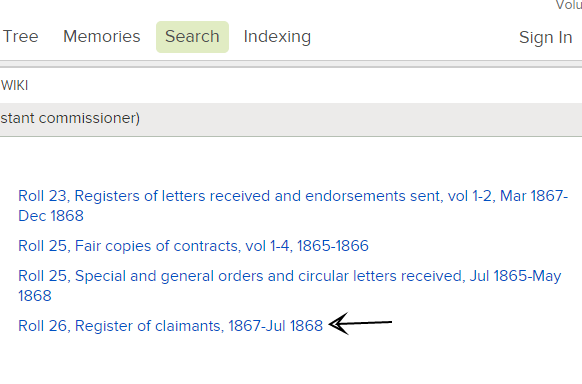 If you find an ancestor in the records, we would love to hear from you! 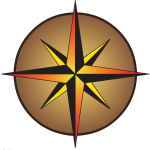 Please use our Contact Form to let us about your finds!